View of Osaka, looking East from the Osaka Prefectural Office on Enokoshima. This is an extremely rare view. The large building in the background is one of the two Buddhist temples Kita Mido and Minami Mido. 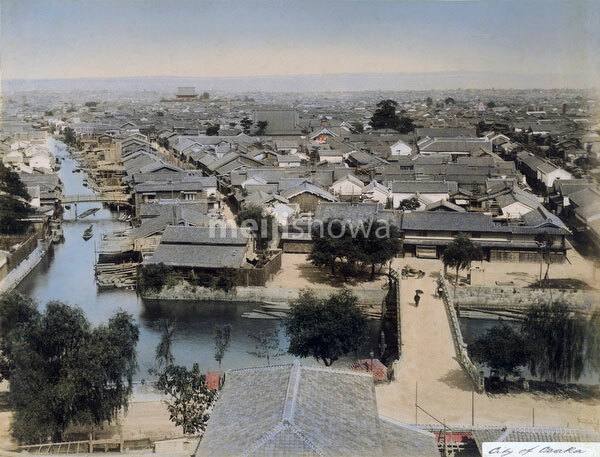 The waterway in front is Hyakkenbori River (百間堀).